I must admit that when I first heard of this new method of learning English I didn`t suppose I will like it. I am one of those people who believe that to achieve something you need to put some effort in it. So the expression “Effortless English” triggered an alarm in my head and made me thinking that this is some kind of a trick. After few moments with the lessons I changed my mind and found them fairly interesting. But before I start, I`ll try to describe what Effortless English is and how it works. I`ll get back to the word “effortless”, too. Effortless English is an English course prepared by A.J. Hoge, American from San Francisco, who teaches English to foreigners. As the lessons are all in English, it is prepared for people with at least basic knowledge. The group target are people who tried to learn English very hard and often for a very long time but never succeed. So, if you are able to understand some basic lines from movies or songs but have no idea how to say anything in English, the course is for you. Every lesson – set, consists of few parts: there`s a Text Article you should “read but not study”, according to A.J. There is also an audio version of this text you should listen to. 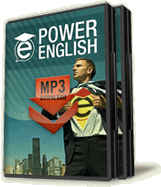 Then, there`s audio Vocabulary Lesson in which the teacher explains words used in the lesson. The most important part is the Mini-Story. This is the key to overcome the fear of speaking English. There are 30 regular lessons and 10 bonus ones. There are also Action Vocab videos during which you will learn new words by repeating them and showing them with your whole body. A very important rule is not to do more than one set a week. Even if you feel you understand pretty much everything you need to wait until another week to start the next step. This course is based not on learning the vocabulary by heart but on listening to it so often that you will finally learn them without actually noticing that. And this is when we go back to the word “effortless”. In the Welcome Guide we learn that it would be best to listen to all the audios every day of the week for two hours a day – as you need to listen to all the parts (or at least to most of the parts) repeatedly. You do not need to listen them all at once, though, and A.J. advices to listen them from some mobile devices while commuting to work, eating lunch or before sleep. However, if you don`t commute to work or your daily schedule is to occupied to spend so much time on learning every single day your chances of succeeding aren`t too big. Click Here to Get Effortless English Lessons and Learn English Fast! This is why I wouldn`t call this method effortless. Yes, you don`t sit by your desk for hours, you don`t need to keep a notebook with vocabulary or learn grammar but still you need to put a lot of effort and time into learning. You should listen to every set for at least a week but there`s no upper limit – if you don`t feel you learnt everything, you may listen to it for a few weeks. As it is good you can work in your own pace, the time of learning lengthens. So, the course does take a lot of time but is it its disadvantage? Well, not really, it would be better to say it`s the reality. As I said before, if you are going to achieve something, you need to put something in return – and with this course it`s your time. The good thing about it is that you can work when you want and when you have time for this and if you sign up for a course with meetings twice a week with at stated time you can`t change it. What I mean is that with Effortless English you decide how and when you want to be taught. When you start watching first video you see this excited guy who tells you he will teach you English. The impression is… overwhelming. OK, to be honest, he does sound a bit stupid. 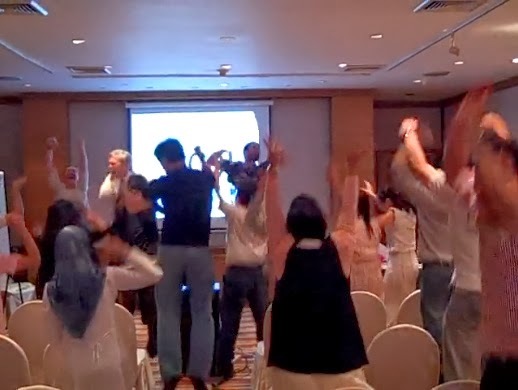 But after few minutes you can`t help sharing his energy and good feeling. You will soon learn that the attitude is what matters in learning English and achieving new abilities in general. According to many studies – says A.J. – it is not the method you choose that matters. It plays only about 20 per cent in your success. The truth is that 80 per cent are your attitude and your emotions. Basically, the happier you feel about learning English, the easier you learn. Many studies show that students who felt relax, cheerful and rested were able to make much more progress than students who felt tired, angry or anxious. And with every lesson that deepens – happy students do a lot of progress, feel that learning is easy and find it more and more painless to study hard. On the other hand, unhappy students are angry and feel more and more anxious about their lack of progress. Vicious circle. Start Learning with Effortless English today! Well, it is easier said than done. It is not like you can just start feeling content, is it? These is what those Text Articles are all about. Those are ways (based on different studies and books about self-development) of how to “master your emotions”, to quote the subject of the first lesson. In my opinion, these is the best and most valuable part of this course. You may really want to learn English and in general have fun with this. But from time to time (or even every time) you may just find yourself too distracted or too tired to do the lessons. You may be angry that you don`t see the results yet. That is why A.J. shows some methods to make yourself feel better. These are some simple exercises – both psychical and mental – which will help you force yourself to have better attitude. And this is why the way A.J. acts and talks is so important. He is very joyful and while listening to him it is hard to stay serious. Another important thing is that you are more than welcome to use those methods in different activities and it doesn`t matter if they are connected to learning English or other things in your daily life. You can use some working patterns in your school or at work. They can be used while you`re at home and just feeling too tired to spend time with your child or to go to the gym. All the book titles he mentions you can find in texts so it is easy to read them later. Before I start with the Mini-Stories, I must admit that they are my favorite part of this course. Those are the easiest ones, also, if you think about vocabulary or grammar. But their main goal is to help people overcoming their fear for speaking English. There are many students terrified of speaking English. They are so afraid of making mistakes that are unable to speak even if they know vocab and grammar rules. What is worse, in standard, old-fashioned schools, teachers correct every single mistake those people do, making them feel even worse. With Effortless English that is not the problem. The Mini-Story is a very simple narrative which consists of simple statements eg. “Vanilla was a beautiful, intelligent woman”. The students role is just to say “Ohhh” or “Ahhh”. Then there is a question eg. “What kind of woman was Vanilla?” and the student responds “She was a beautiful, intelligent woman” or just “beautiful and intelligent”. A.J. says not to worry about grammar or about giving full answers but only to focus on giving the answers. Saying them aloud. Shouting them. Does it work? Yes. You are at home alone, there`s no one who see you shouting strange statements about Vanilla and there`s no teacher to correct your answers. You will hear the answer from A.J. so to know if you are correct. In the comfort of your own home you do not need to feel ashamed of anyone. The stories are funny and said in a very joyful way. There are not only statements and answers but also little mistakes that bring students attention to the plot and make them want to say “no, you are wrong, that is not true”. Again, it is hard not to share A.J. positive attitude and by repeating over and over the same words it is hard not to learn them by heart. The problem is, it is not the best thing to listen to Mini-Stories while commuting, otherwise people may think there is something wrong with you murmuring some strange things. For who Effortless English is? This course is basically for people with at least basic understanding of English. If you are watching a movie and are able to understand parts of it without any translation than it`s OK. It is aimed for people who tried signing up for regular classes but failed to memorized vocabulary and grammar rules. It is also for people who hate learning English – A.J. Hoge will quickly change your attitude. Those lessons are definitely for students with fear of speaking. The whole idea is to help them to start speaking: not to start speaking correctly, not to start speaking using wide vocabulary, only to start speaking. Now think about your daily life: how do you speak? Because I – as most people – do some mistakes and use rather simple vocab most of the time. Go to The Official Effortless English Website and Start Learning Today! So, if you want to communicate with foreigners during your vacations or are planning to live and work abroad and want to be able to speak freely with other people, Effortless English will respond to your needs. But what about taking tests, like those prepared by British Council? Or working with English and writing official correspondence? Than the Effort English course is not enough. Again, this method teaches everyday life English – if you need to learn medical English to work as a nurse abroad than Mini-Stories won`t help you with this. But no one said that Effortless English is the only course you can take at the time. A.J. 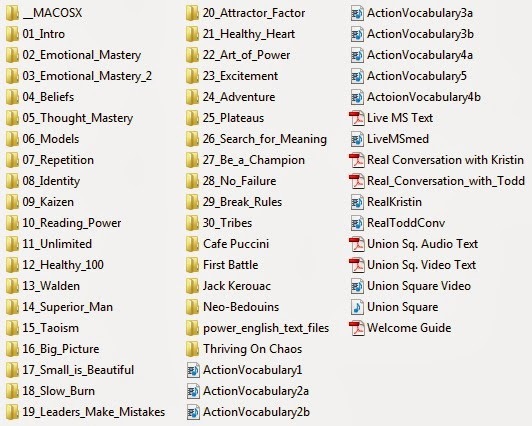 often says that these methods of fast learning or being motivated are good to use with other kinds of English courses. If you need to learn all the grammar rules and specific vocabulary it would be best to mix Effortless with some more old fashioned lessons. And there is one more thing to remember. A.J. 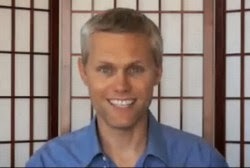 Hoge is American and he teaches American real-life English. While on vacations or doing business in Europe you will encounter many people for whom English is a second language and who learnt it with those standard rules. And yes, some of those people would expect you to speak in long, formal sentences.